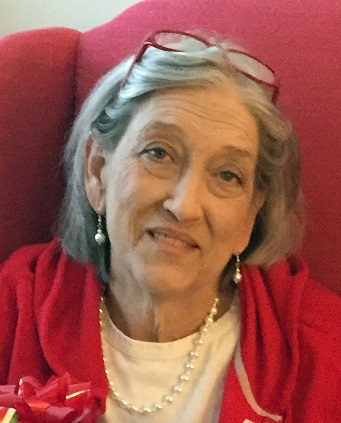 Ellen Notch Mabrey passed away peacefully in her sleep on Thursday, March 28, after a valiant battle with complications from diabetes mellitus making every day special. She was born in Putnam County, West Virginia to the late Joseph Notch and Ruby Jean Notch in 1955, the youngest of 5 children . She attended Enloe High School class of 1974 followed by the Neurodiagnostic Technologist course at Duke University Medical Center. She is survived by two sons: Bryan Mabrey (Sara ) of Raleigh and John Mabrey of Daphne, Alabama as well as her loving mother, Ruby Notch of Raleigh, sisters: Suzy Johnson (Frank) of Little River, SC, Jeannie Buchanan (Steve) of Wake Forest, brother Dan Notch (Fonda) of Raleigh and a large group of nieces and nephews as well as great nieces and nephews. A memorial service to celebrate her life will be held Monday, April 1, 2019 at 7 pm at the Church of Jesus Christ of Latter Day Saints, 1524 Jenkins Road, Wake Forest, NC 27587. The family would like to express their sincere gratitude and appreciation to staff, physicians, technicians, spiritual care ministry as well as a variety of departments and services within the Duke University Medical Center as well as Duke Regional and Duke Raleigh Hospitals for the exception care extended to our baby sister during her chronic illness with the complications of diabetes mellitus. Mere words cannot explain the years of expert and lovingly kind care extended to and for her, that her family members are eternally grateful and humbled by your service. The family will graciously accept flowers or memorial contributions to the American Diabetes Association. The family will receive friends immediately following the memorial service. God be with this family, who have shown so much love and caring during trying times. Our prayers at Wakefield Manor are with you and for you. Love to you, Ruby. My deepest condolences to Ellen’s family at this sad time. My thoughts and prayers 🙏 are with you all. I graduated with her from Enloe High School class of 1974. I will always remember her beautiful smile. May she Rest in Peace.